"narrowest seats in the market"
I'd read the reviews which are mostly negative and the splattering of positive reviews prior to flying. After flying with them I can honestly say the negative are correct and I'm somewhat dubious if the positive are real. No leg room unless you pay extra for leg room cost me $134 Australian dollars. Narrowest seats in the market and their entertainment system had to be rebooted 3 times. The staff were the only positive attribute. Fly Emirates or Virgin they actually seem to care more I've complained since returning. It took them 4 days to reply with a very basic holding email. Having read other reviews of the Etihad Economy seat on the 3x4x3 B777 we decided to pay extra to get an exit seat. This was well worth it but still not good. With 10 seats across the seats are so narrow that you can hardly move (I am 1.82 and normal weight) This seems even worse at the exit row as your tv screen and table are stored between the seats. However fortunately you have legroom. I cannot imagine having done a flight on any other seat in the economy cabin as the legroom is really non-existent (I tried it) and together with the lack of width it makes for a combination from hell. My travel partner is 1.72m and even he found it extremely difficult. Moreover a crew member on passive transfer sat on the jump seat facing us and spread her luggage out on the floor during the flight so we could not actually stretch our legs even if we had paid extra for exactly that. Unlike their B777 the Etihad A330-200 offered relatively comfortable economy seating. The 2x4x2 configuration makes it easy for anyone to get in and out and the seat width and comfort was acceptable and better than many European airlines. Recline was okay and the screen worked well. Leg room was not impressive but on par with most airlines. All in all recommendable. Without doubt the most uncomfortable flight I have had seats are extremely cramped. This is made completely unbearable as soon as the person in front of you reclines. It becomes impossible to view your screen unless you recline yourself. Service was limited and drinks needed to be requested they weren't bought around on a regular basis. If you want economy consider another airline. "there is no leg room"
I am a short person yet I found the seats on Etihad flight from Toronto to Abu Dhabi to be the worst I have ever found on an airplane. The seats are not wide enough and there is no leg room (even for a short person). It was a seriously uncomfortable 12 hour flight enough for me to never want to fly Etihad again. Strangely enough the onward connecting flight to Islamabad had decent seats although that was also a B777 but apparently the aircraft belonged to a partner airline. 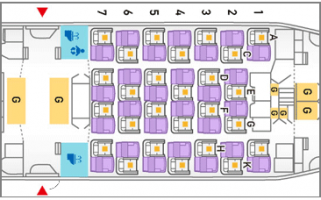 Etihad is trying to milk as many passengers as they can using the high density 10 abreast with minimum seat pitch. Absolutely terrible experience. "should have more leg room"
I am a small person and having issues with the leg room. Should have more leg room. 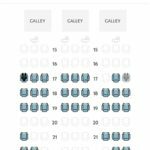 The seats on A330 flight pleasant because they did not use a configuration that just crams as many seats as possible. The Boeing 777 seats are unbearable pitch is limited and the seat width is horrendous. 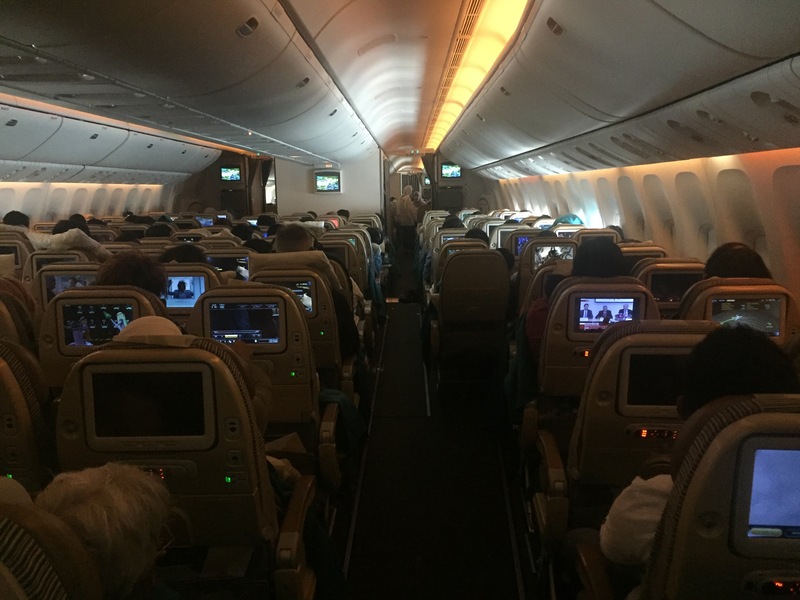 Avoid the Etihad Airways 10-abreast (3x4x3) Boeing 777 seat arrangement at all costs. AVOD options fantastic but not enough to take away from the narrow seats on the Boeing 777. 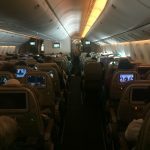 "worst seats I have ever tried"
Sydney to Abu Dhabi 14 hrs in the worst seats I have ever tried to sit in. I will never book with this airline again. The onward flight to Manchester was just as bad on the A340-600. Cheaper airlines have better seating. Qantas or Air New Zealand in future. "all adequate and comfortable enough"
AUH-LHR. Seated in row 21 (A/C) which was a shame as row 20 was an exit with bags of extra legroom. All adequate and comfortable enough versus flight duration until seat recline from in front made for very uncomfortable hour until the fellow passenger thought better of it and moved the recline back half way! IFE good with ample choice inflight service not as slick as outbound sector but still decent. LHR-AUH. Seats were adequate versus duration of flight. Attentive inflight service. IFE sound not working but did not complain as decided to sleep instead.